In what must certainly be one of the fastest appeals and decisions, in a 10-page judgment delivered on October 17, 2012, a Division Bench of the Delhi High Court has stayed (not set aside as I had incorrectly written) the order dated October 15, 2012 of the Learned Single Judge restraining the allegedly defamatory use of the trademark “Bata” in the song “Mehngai” in the movie “Chakravyuh”. “3. The issue raised in the appeal is of great public importance in the context of fundamental rights of the citizens to freely express themselves on social issues and thus we would be inclined to hear detailed submissions in the appeal but are constrained to pen this short order inasmuch as the cinematographic film in question is scheduled to be released in India on October 24, 2012. Only two more working days remain as per the calendar of this Court before the Autumn recess commences. The appellant seeks a stay of the operation of the impugned order. 4. We are informed that as far as the international premier is concerned, the movie in question has already been launched with a premier show held in London on October 11, 2012 and that the offending lyrics in the song have been on the “You Tube” by way of promotionals since mid September 2012. 5. Since the appeal came up for hearing today in the forenoon and we do not have the requisite time to view the cinematographic film we take on record the statement made by the learned senior counsel appearing for the appellant as well as for the first respondent that the theme of the cinematographic film is the burning social issue of disparity in the distribution of wealth created in the nation : Fight of values and thought between the “haves” and “have nots”. We are informed that the textual setting of the cinematographic film reflects a class struggle between the State, which is perceived by a section of the society to be capitalist oriented, vis-à-vis those who believe that the social philosophy of the State should be of a kind which facilitates a fair distribution of the wealth created i.e. meets the need of all and the greed of none. It is this esoteric thematic setting which finds an exoteric expression in the movie which shows to the viewer the struggle between the Maoists and the State. 13. Mr.Sandeep Sethi, learned senior counsel appearing for the appellant urges that notwithstanding four business houses being named in the song, the understanding of the song would not be with reference to a particular house but to a class which propagates the ideology of industrialization. And, brings out a call to those who propagate the ideology of socialism to unite and fight. 19. The movie raises a burning social issue which we find is a matter of public debate on the streets and the press. The struggle between the “haves” and the “have nots”. The struggle for political power and the control over the philosophy of the State. 20. Would the traditional legal principles evolved by Courts on the subject of rhetorical language or hyperbole be sufficient guidance for Judges to resolve issues when expressions are used with respect to social issues? Is a question which needs to be seriously considered and answered. This is the reason why we are deferring hearing but penning our thoughts as aforesaid to bring out the richness in the public debate and especially in the modern societies where contemporary entities compete in the interdependent industrialized world and perhaps in this competition the individual organized industry of the common man renders him incapable of fighting an organized industrial establishment. To wit : When a prosperous person goes into depression and commits or attempts to commit suicide, what else is the phenomenon other than the individual organized industry falling apart against the onslaught of modernization. 21. 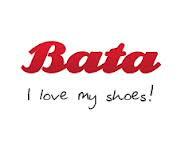 Seen with the viewpoint as herein above, we do not prima facie find that in its contextual setting, viewed and heard as a whole, the song is derogatory or defamatory of the House of Bata. Four leading and well-known industrial houses have been named and the statement naming them is prima-facie not likely to be taken literally by the viewer/listener. 22. Deferring further hearing of the appeal till November 07, 2012, the operation of the impugned order is directed to be stayed. The rational appears to be that given the backdrop of the story, use of the names of popular business houses is a reference to capitalism, and not a targeted assault on the entities per se. I don't quite agree with you that a good section of audience is not capable of making a nuanced distinction. In our country, we let illiterate people vote believing in their common sense. It is unlikely that the public would confuse that direct reference is not being made on Bata but to Companies in general. Bata is used in the song with artistic freedom. For once, I think it is a very sound judgement. The beauty of the law of defamation is that most people dont agree with each other, so I welcome the disagreement whole-heartedly :-) That said, I do have an issue with the statement "In our country, we let illiterate people vote believing in their common sense". The suggestion appears to be that only literate people are endowed with common sense, and that we do a favour to the illiterate ones by imputing them too with common sense. Besides the fact that my comment on a good section of the audience not capable of making the nuanced distinction has nothing to do with literacy, in my experience, common sense is not the sole propriety of the literate and the qualified. In fact, the ones who are unfortunate enough to be illiterate tend to use their common sense much more than others to survive in harsh and unforgiving conditions. The point that I was making in the post is that when you name an honest person along with ten other crooks and that too in the context of corruption, you tend to do injustice to the honest person. Therefore, using the context to justify the use of a brand in reference to corruption or crony-capitalism, is to commit the sin of oversimplification, and to paint everyone with the same brush. This applies all the more in these cynical times when people appear to be open to the idea that almost everyone is up for sale. Somehow we seem to have different rules for public individuals and public juristic entities. When it comes to an individual's defamation, we probably are open to imposition of restrictions on third parties rights to critique him or her, but when it comes a corporate entity, we seem to take a bit more of latitude for granted. For the promoter of a brand, this would certainly seem unfair and uncalled for. After all, the brand is a reflection of the values he holds dear. Therefore, in my opinion, the rationale of the decision has a populist hue. You are right, I am counting on people's common sense to discern that the names taken here don't represent them specifically but only symbolically. Now that you have explained so lucidly, I do think singling out these corporate houses is no good. Generalizing doesn't help. I read in papers that a similar case was filed in Cal HC by the Birlas, but decision is same.